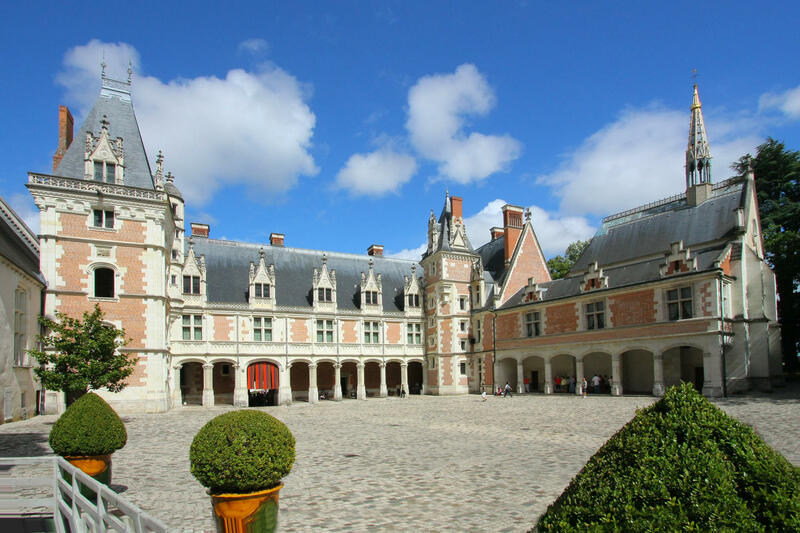 From the 9th century onwards, the lords of Blois and the kings of France continually modified the chateau according to their tastes. 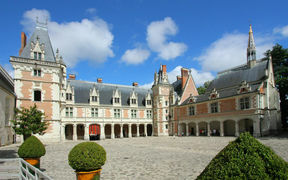 At present, the courtyard of honor is surrounded by buildings that attest to the four great epochs of French architecture from the Middle Ages through the 17th century. In the 9th century, the headland overlooking the town of Blois and the Loire river was occupied by a fortress and a county palace. Shortly thereafter, the monks of Saint-Calais founded a chapel to protect their relics from Viking pillaging. 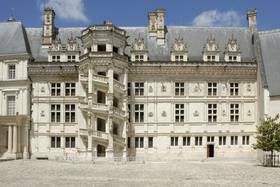 Starting in 1000, the counts of Blois erected a tower and some new structures, which were regularly enlarged. As regards these medieval constructions, today's Royal Chateau of Blois contains only a few remnants of these 13th-century buildings: the large seigneurial room, part of the rampart and three towers incorporated in the François I wing, as well as the circular Foix Tower. 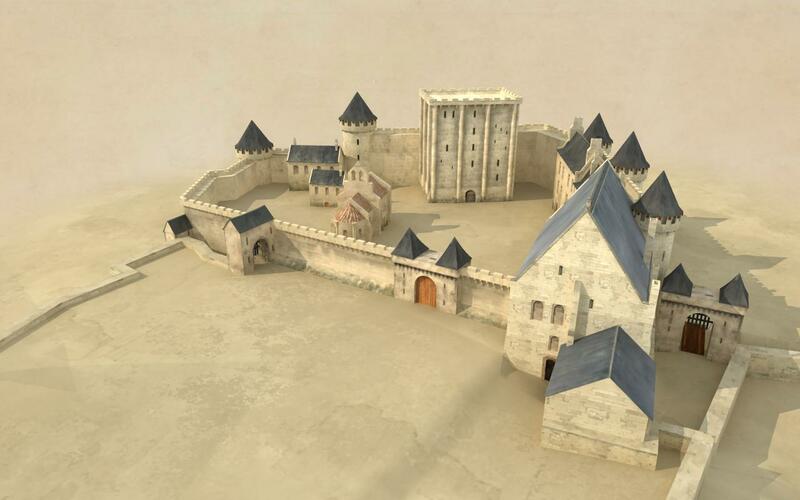 Starting in 1498, Louis XII transformed the fortress into an urban palace. 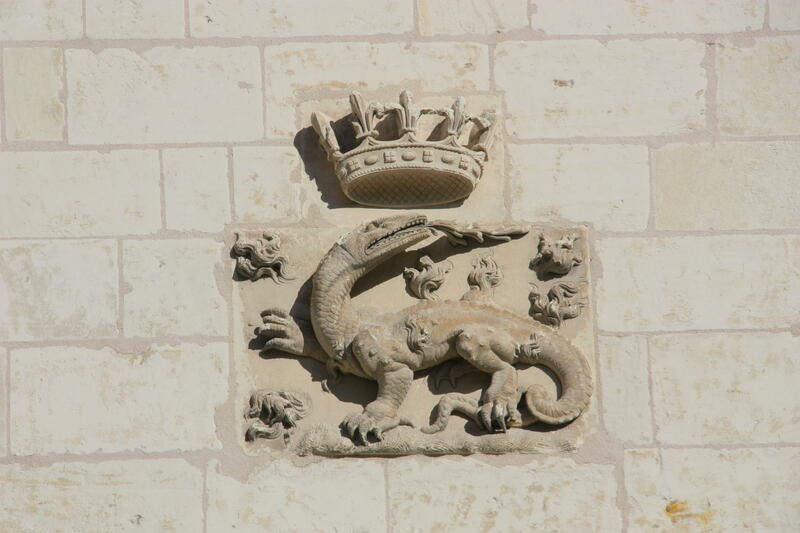 A new dwelling was built for the king, who received Philip the Handsome, archduke of Austria, in 1501. On the courtyard side, the Gothic building features an open arcade leading to the two stairway towers providing access to the floors. At the front, the long brick facade harbors an equestrian statue of the king. While the edifice remains faithful to the standards of French architecture, the candelabra-laced decors and the arcades display an early Italian artistic influence. In our time, the Louis XII wing is home to the Fine Arts Museum. In 1515, right after having acceded to the throne, François I initiated the first building project of his reign by erecting in Blois an edifice inspired by the Italian Renaissance. On the courtyard side, the majestic facade has in its center the François I staircase whose massive buttresses vividly contrast with the light picture windows. As for the exterior facade, it is inspired by the facades of the lodges elaborated by Bramante in the Vatican. 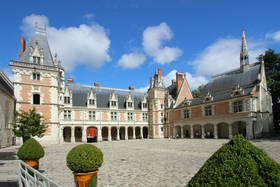 At the time of their construction, the lodges afforded a view of the gardens brought into being for Louis XII and Anne, the Duchess of Brittany. Brother of Louis XIII and heir to the throne, in 1634 Gaston d'Orleans decided to erect in Blois a totally new castle. 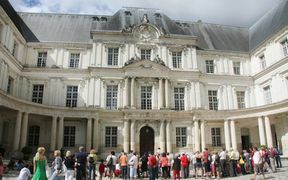 His chosen architect was François Mansart, who built to the rear of the courtyard a main dwelling house that should have represented the first step of a large-scale, highly ambitious reconstruction project. However, the work was curtailed in 1638 by the birth of the future Louis XIV, whose arrival removed him from succession to the throne and deprived him of financing. Never fully completed, the dwelling house was built according to 17th-century tastes, in a classical style that prefigures Versailles: columns, pilasters, capitals and pediments pay tribute to antique Greek architecture. Inside the wing, the most spectacular element of the decor is the vault adorned with trophies and masks, and topped by a cupola. Dive into the universe of 3D screens!